Philip Evergood considered himself a social realist painter and dedicated his career to representing scenes of contemporary life. With their harsh colors and exaggerated, cartoon-like style, Evergood’s later works became more fantastical and symbolic. 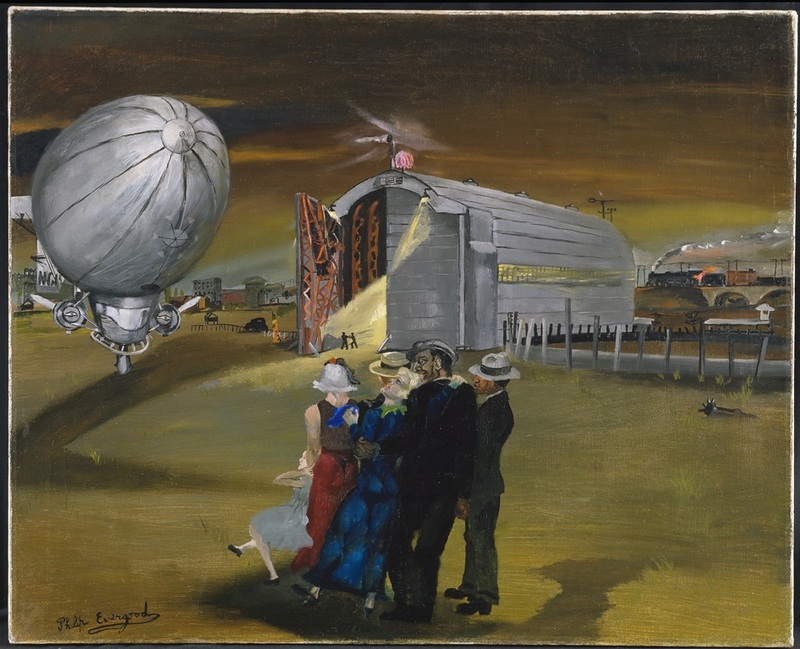 In this painting, a crowd at the Lakehurst Naval Air Station in New Jersey watches a dirigible (zeppelin). It is unclear if the dirigible is starting or ending its journey. Likewise, it is not known whether Evergood created the image before or after the Hindenburg disaster, as both date to 1937.